In the works since 2008, the ‘Monopoly’ movie seems to be finally going forward according to Kevin Hart. Indeed, the American actor has made public that he will be starring in the film by Tim Story. Currently causing controversy for having dropped out of being a host for the Oscars, Kevin Hart seems to be focusing on a new production. Indeed, he is set to both star in and produce ‘Monopoly’, the upcoming movie. The storyline revolves around three children who discover that the inventor of the board game, Charles Darrow, hid a secret within his creation. 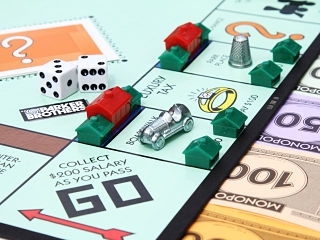 Reportedly, efforts to adapt ‘Monopoly’ go back to 2008 when Ridley Scott was attached to the project alongside writer Pamela Pettler. In 2015, another writer joined, Andrew Niccol, and a family-adventure film was penned. However, the director left and was replaced by Tim Story. The latter is mostly known for having worked on ‘Ride Along’ and ‘Think Like a Man’. Published in 1935, ‘Monopoly’ has been played by generations of families throughout the years. In order to play, two six-sided dices need to be rolled so as to move around and trade properties. The ultimate goal is to make the other players bankrupt. Hasbro has previously partnered up with Universal Pictures, Emmett/Furla Films and Lionsgate before settling in for Allspark Pictures for the flick with Kevin Hart. Aside from ‘Monopoly’, it seems like Kevin Hart has two other upcoming projects. These are the sequels of ‘The Secret Life of Pets 2’ and ‘Jumanji 3’. In the latter, he will reprise his role alongside Dwayne Johnson.